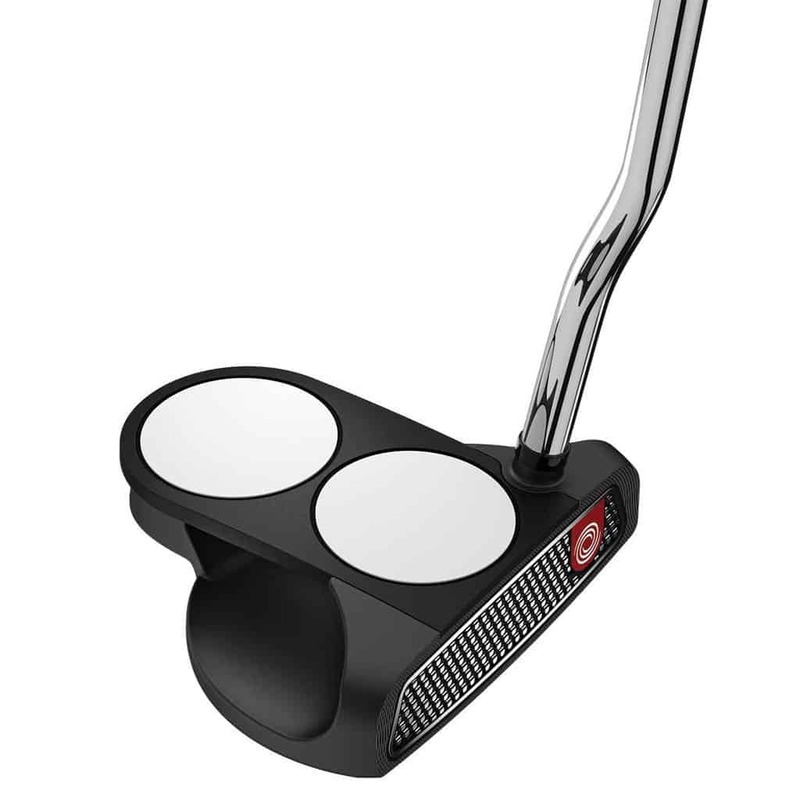 The O-Works 2-Ball Putter is a mallet design with 2-Ball alignment, Versa high contrast alignment, a Microhinge Face Insert, a double-bend shaft, full-shaft offset, and a Superstroke grip. For over 20 years, Odyssey has set the standard for bringing new, industry-leading innovations to the golf market. The patented White Hot insert was one of the greatest insert technologies of all-time, and introduced a new way to feel. The major-winning 2-Ball and Versa alignment technologies established a new way to align. And the latest mission for Odyssey’s R&D department focused on the effect of the insert at impact, and the results have been nothing short of amazing. 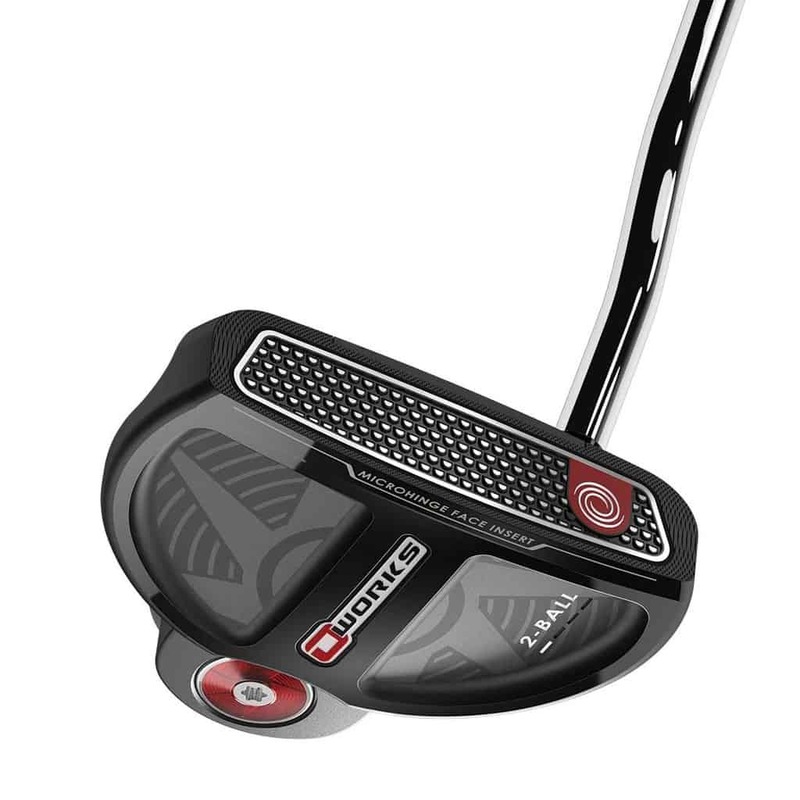 The new O-Works putters, with a revolutionary Microhinge insert, have created a new way to roll, and they will change how golfers look at putting forever. 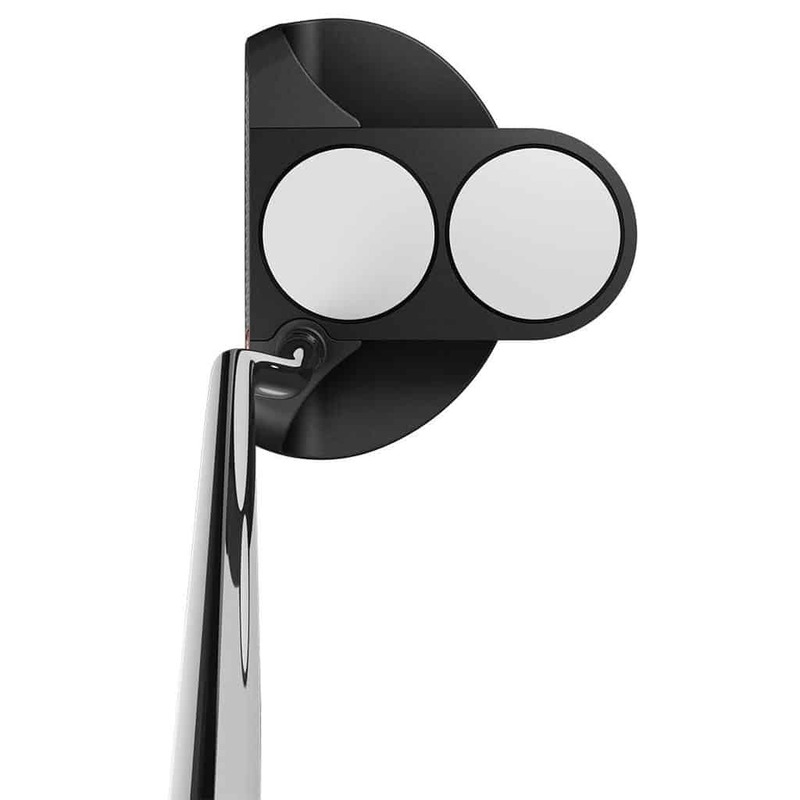 This new technology will change the way people look at roll off the putter face forever. Microhinge technology provides incredible gains in topspin and roll at impact regardless of your stroke. 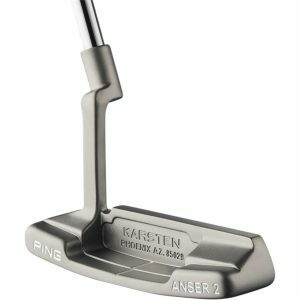 The stainless steel Microhinge plate is co-molded into the Thermoplastic Elastomer Feel Layer, providing great feel and allowing the hinges to lift the ball into a better roll at impact. Major championships…check. 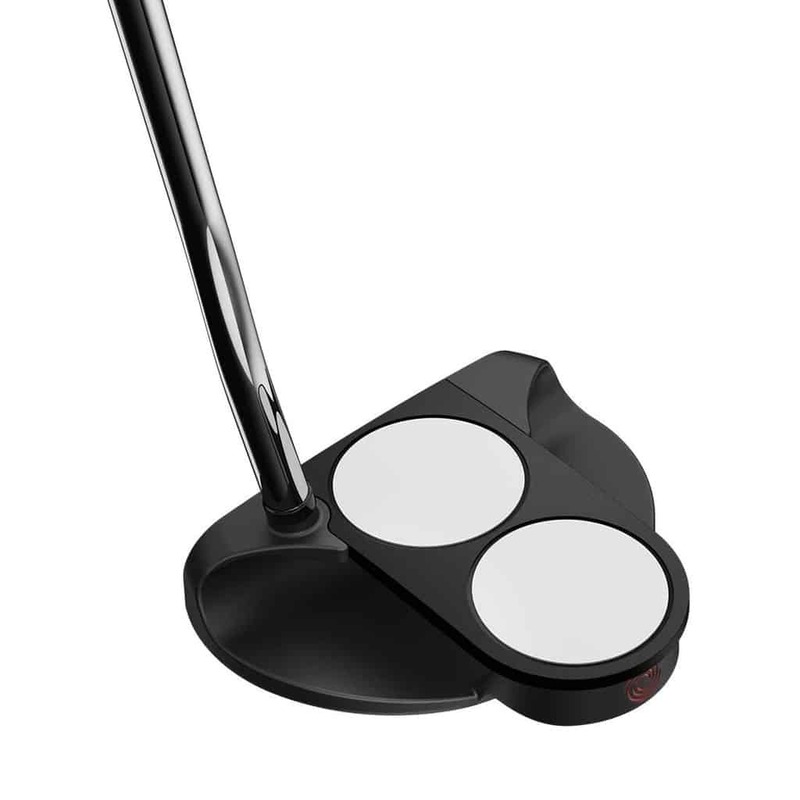 This revolutionary high contrast alignment technology allows your eyes to key in on the linear designs to highlight the proper face angle from address to impact for alignment throughout your putting stroke. The new red highlight lines give you an additional aid to make sure you’re lined up exactly to your target. These are some of our most prolific models that have dominated Tour events and major championships for years. As the #1 putter across the major tours, we’re constantly working with the best players in the world to develop and tweak shapes for ultimate performance. CounterCore Technology lets the golfer fine tune the feel and stability of the putter by adjusting the weight of the grip. Every new CounterCore putter grip comes with a 50g back-weight that engages larger muscles in the arms, shoulders and back, which results in more of a pendulum motion. 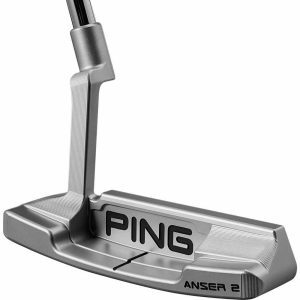 The patented NO TAPER design promotes even grip pressure, which leads to better putting. It can also be played without the weight if you prefer. The Mid Slim 2.0 came from Tour players requesting a size between the Ultra Slim 1.0 and the Slim 3.0. 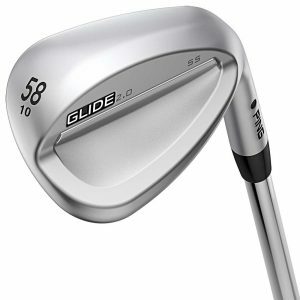 The Pistol GT Tour with CounterCore Technology is SuperStroke’s slimmest, classic pistol shape that golfers love.